As part this project, and to replace 800 outmoded signal boxes, Network Rail are building 14 state of the art rail operating centres around the UK. The latest to be built is the new £16.5 million Wales Railway Operations Centre at Grangetown, Cardiff and acts as the nerve centre for all train operations in Wales. 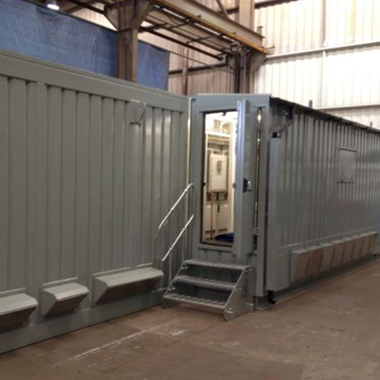 Bradgate have been supplying containers to accommodate vital signaling equipment for a number of years and in that time have delivered around 150 units - so were given the green light to manufacture nine bespoke containers for PSPs (Principal Supply Points) and SSPs (Signalling Supply Points). Our client appreciated the trust we’d developed and our proven ability to deliver large orders to deadline. Bradgate were pleased to report a good service with no delays.